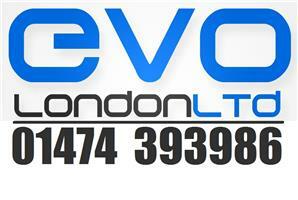 Evo London Ltd - Alarms/Security, Electrician based in Hodsoll Street, Kent. Here at Evo London we are proud to offer the very best quality of work and attention to detail you need. We are a local business with friendly staff happy to help you with your project big or small every step of the way to ensure you get the job done. Evo London opened its doors in 2014 and we haven't looked back since, With over 14 years experience in the Electrical and security sectors we have been providing services to domestic and commercial clients alike. Please take a look at our customer feedback for recommendations so you know you have found the right contractor for you. Whether you have an existing gate you would like to give that finishing touch with an automation system or are looking for a complete new gate and automation we can help. We have automated all manner of openings from driveways to disabled access to make life that little bit easier and secure for your piece of mind. Call or email us now for a free no obligation site survey with a member of our friendly staff. Looking for that finishing touch for your driveway or opening making it truly feel like home? One of our made to measure metal or wooden gates is just the thing you're looking for. Openings of any size big or small can be fitted with our made to measure gates to your specifications. One of our experienced staff members can take you through step by step to ensure you get the gate that's just right for you. All of our metal gates are made in house by our fabrication team with years of experience ensuring you get the quality that lasts for years to come. Tired of having to walk down to the gates to meet the delivery company? An intercom system will be a great addition to your home. We can fit hard wired systems from the gate to your home so all you need to do is press a button to let visitors in. Think your driveway is too long for an intercom system or just don't want the disruption of running cables into and from your home? Evo London offer the latest GSM intercom systems working off of mobile networks with no need to run cables to a phone in your home. These systems can be programmed to call any mobile or land line number in the world meaning you can open your gates from literally anywhere you will never miss a parcel again! Looking into home security for your piece of mind? Here at Evo London we offer the very latest in wired and wireless Intruder Alarm systems to suit all requirements from your home to the garden shed. Fully Accredited with the SSAIB we can supply and install an alarm system you can be confident will keep your home safer whether you are in or not. Different levels of cover are available with our 24 hour emergency call out and annual servicing keeping your alarm working as it should. Want to keep an eye on your home whether you're away on holiday or just with your feet up in the livingroom? Providing the very best full HD IP CCTV systems on the market, fully accreditied from the SSAIB, Evo London can make that happen. Giving you the ability to remotely view your home on any smart device or computer is just one of the many ways we can help give you piece of mind. From replacing a socket front, fault finding to complete rewires Evo London is here to help. We are a fully NAPIT accredited and fully insured company. Evo London prides itself of maintaining a high standard of work throughout our field. Our experienced staff will be able to help you with any and all problems or new installation questions to make sure you have the best information to decide a course of action.